Parking: Private parking is possible on site (additional cost). 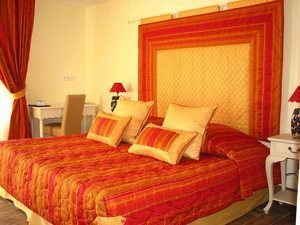 The Hotel Soleil et Jardin is a comfortable 4* hotel conveniently located between Marseille and Toulon along the lovely Provençal coastline. As well as being a great base to tour the enchanting local vineyards, the hotel is based in Sanary sur Mer, a charming Provençal town with a good range of restaurants, bars and shops. The hotel has 40 elegant rooms as well as a garden, a swimming pool and a wellness centre to ensure a truly relaxing stay. Located in Sanary sur Mer, the Hotel Soleil et Jardin offers a great base for your trip. The marina as well as the beach are only a 10 minute walk from the hotel. 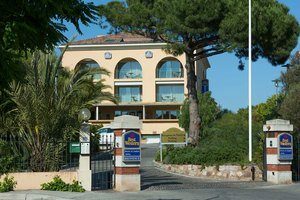 The hotel gives you the opportunity to visit the Provence vineyards (Bandol is a 15 minute drive, Cassis a 30 minute drive) as well as to wander along the lovely beaches and incredible Var coastline. Toulon is only 15 minutes by car and Marseille is just over an hour’s drive. Hotel Soleil et Jardin has a great range of facilities on site including an outdoor heated swimming pool to make the most of the lovely weather as well as an indoor heated pool and a sauna to relax after a long day of sightseeing and wine tasting. A delicious buffet breakfast is served every morning in a cosy breakfast room. The hotel also has conference rooms and can welcome business events. 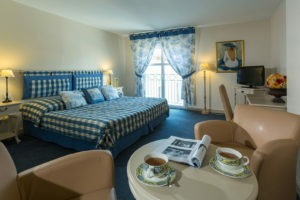 The 40 comfortable rooms are decorated in a traditional Provençal style. The rooms are spacious, individually decorated and have a special guest house feel. They are well equipped with en-suite bathrooms, individual climate control, complimentary WIFI, Satellite TV, a phone, a safe and a courtesy tray.